Lemons make us pucker, but the same property in lemon juice that creates a sour flavor--acid--is what gives lemons battery power. The acid in lemons works like regular battery acid to create an electrolyte reaction with the metals that produces power. Simply make a positive and negative electrodes that connect to the lemon acid with a couple household items, and test. If you have a multimeter handy, you can visibly measure the lemon power output in this simple voltaic battery. 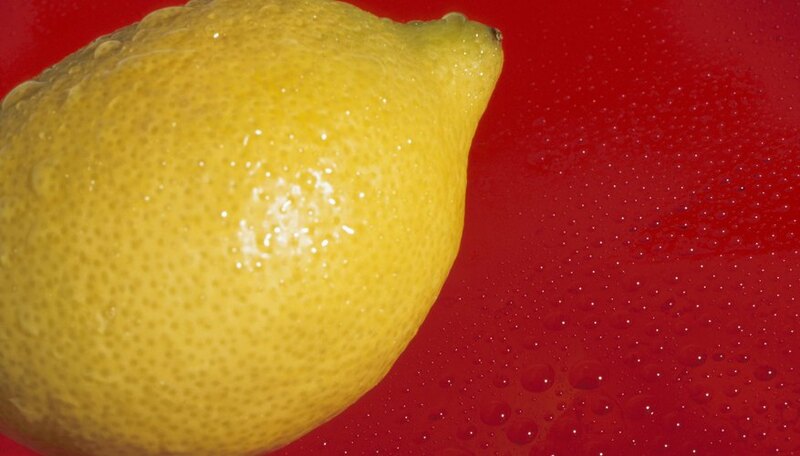 Roll the lemon on a table gently to release the juices inside without breaking the skin. Push the copper wire in the lemon through the skin about ½ inch. If you don’t have copper wire, make a slit in the skin using a knife and insert a copper penny instead. Insert the nail or a steel paper clip into the lemon as close to the copper wire or penny as possible without touching. Place your tongue on the penny and the nail or paperclip next to it, or on the tips of the copper wire and the nail/paperclip at the same time. You should feel a slight tingling on your tongue that means the lemon battery is working. Measure voltage if you have a multimeter or volt meter available. Attach the meter's positive and negative wire end clips to the copper wire or penny, and the galvanized nail or paperclip. Then check the voltage readout to see if the lemon battery has power. If the lemon battery does not work, try switching the penny for a pure copper wire that will conduct the energy better. Add more lemon batteries connecting between electrodes with wires to increase the voltage enough to run an LED light, digital watch or basic calculator. 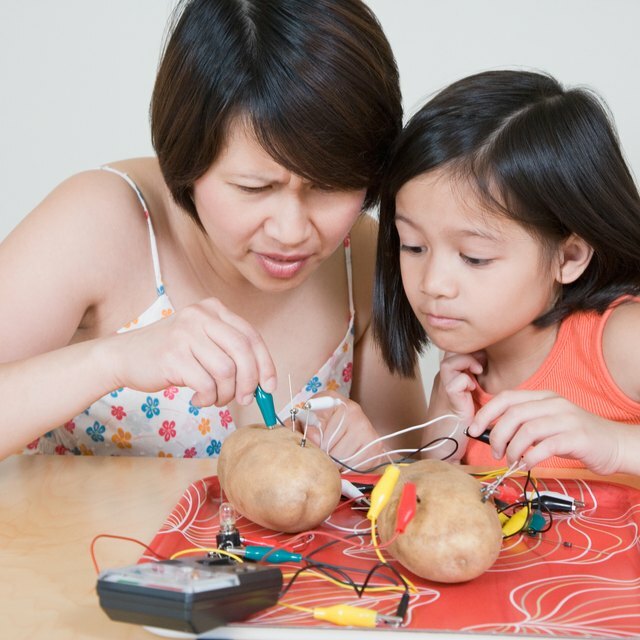 Building a lemon battery is a good science experiment for home-schooled kids grades 3-8. Print off a lab sheet or experiment guide online such as one from the National Engineers Week Foundation. Do not do this experiment with children under 5 because they could choke on small parts such as the penny or paperclip. McHenry, Roxanne. "How to Build a Simple Lemon Battery." Sciencing, https://sciencing.com/build-simple-lemon-battery-5937972.html. 24 April 2017.